As a food blogger, I get offered lots of products to sample. I'm picky though. I only accept products that fit the mission of this blog—and I only write about the ones that I love. So today, I thought I'd break from my normal recipe posting to let you know about two of my recent favorites. 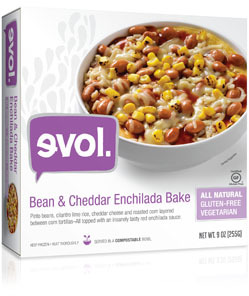 First up, a company called EVOL sent me a variety of their frozen Gluten-Free bowls and burritos to sample. Unlike many frozen products, these bowls and burritos fit within my eating parameters. Real ingredients that I can pronounce, dairy-free in many cases, gluten-free, natural products, compostable packaging. Oh, and they were really taste. I loved that the Chicken Burrito came with a hefty packet of guacamole. These were quick to heat up and tasty in a pinch. But even more than the burritos, I loved the bowls. My favorite flavors were the Bean & Cheddar Enchilada Bake, Fire Grilled Steak, and best of all, the Chicken Enchilada Bake. All these bowls are high in protein and fiber, and importantly, gluten-free. They carry EVOL products at Whole Foods Market, Costco, Kroger, Safeway, and Publix, among other retailers. 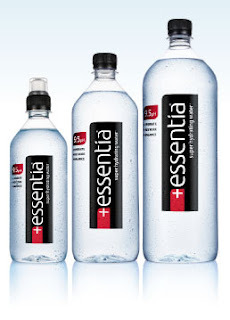 The other product that I've tried recently and loved is Essentia Water. While there are many bottled water products available, the difference with this water is the pH. This water has a pH of 9.5. Essentia is different from other high pH brands and the enhanced waters that simply add minerals to their water. Essentia removes acidic ions and increases the alkaline earth minerals resulting in an optimal higher pH of 9.5 and therefore faster hydration. Drinking Essentia can neutralize the body’s acidic condition and restores it to a more balanced state. High acidity can result in loss bone density, muscle and strength and can impact critical organs like the kidneys. My mother first got me interested in alkaline water when she added special filters to her house, but since I live in a rental property, that wasn't really an option for me. So that's why I jumped at the chance to sample this water. I'll be drinking it regularly from now on.